The location was great could walk to the waterfront and into town and there was the water taxi that took you to waterfront as well very convenient. Apartment was great would have liked to have had a toaster. Also a hair dryer. Harbouredge is in an excellent location. Perfect for the waterfront with all the lovely restaurants and museums. 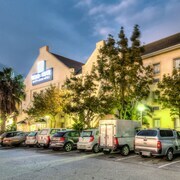 Also very close to the arty Cape Quarter lifestyle centre and the colourful Bo Kaap area. The staff at Harbouredge could not have been more lovely and helpful. A great place to stay. This location is in walking dista ce from waterfront.. The beautiful and comfortable set up of the unit overlooking the water.. I would rate this 6 stars if I could! The staff is fantastic. Every single person! Big thank you to Amit, Ismael, Charles and Yonela. Rooms, bar, restaurant and amenities were exceptional! Thank you for making our first trip to Cape Town a memorable and happy one!!! A very unique style for Breakfast that we liked . I’m vegetarian and the staff was very accommodating. Everything was perfect and I would definitely recommend them without a doubt. 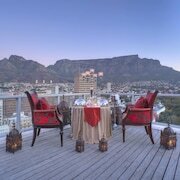 Look no further and take a look at our great range of rental properties in Cape Town!